Welcome to Dijon Home and Flooring, a family run business based in Bromsgrove, Worcestershire but covering the whole of the UK. 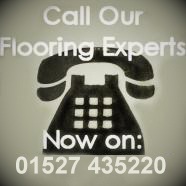 We specialise in all aspects of flooring as well as offering selected, quality home fittings and furnishings. Our range consists of only high quality, natural, floor coverings sourced from reputable suppliers. We work from the ground up – literally – we can completely replace sub-floors, specify and install under floor heating, and top it all off with a beautiful floor covering of your choice. You can choose from solid wood floors, engineered wood floors, premium laminate floors, natural stone, porcelain tiles, carpet, commercial grade vinyl plank/tile flooring, and much more. Our floorings are available in a whole host of colours, finishes and grades to allow you to express your own individual taste. And if we don’t have exactly what you’re looking floor, we can have it made. We believe that a good floor should last a lifetime, which is why we don’t just fit floors; we also look after them in years to come. We offer a full renovation service – whether that’s just a sanding and sealing or a more thorough restoration involving replacing damaged sections or lifting and relaying entire floors to renew old fixings and adhesives. We will lovingly restore your floor to its former glory and give it a new, long lasting finish. Have you had a floor fitted recently that you’re not happy with? We offer an independent inspection service to identify the cause of flooring failures – whether it is through poor fitting or a sub-standard product. Our inspectors will conduct a site visit to obtain the details of, view and take the necessary readings & measurements of the installation. A comprehensive written report will then be made and full support given to assist you in settling whatever claims you may have. At Dijon Home & Flooring we offer all of our customers a Bespoke package. We do work from small to medium to large domestic jobs and we cover all aspects of Commercial work this includes Nationwide coverage.We like to offer all of our customers our Bespoke service, we tailor all of our work to meet our clients needs. At Dijon Home and Flooring we focus on customer service attention to detail and craftsmanship. All of our fitters are trained carpenters and some also have Engineering degrees or similar backgrounds. Customers often have very specific needs which we always aim to fulfil, as our customers are our next referral if we carry out a high standard of service for all of our clients they will recommend our services to fellow friends and associates. We often carry out work for self builders as they are creating a Bespoke home and look for craftsman who will carry out work to a very high standard. 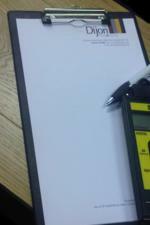 We specialise in working alongside other crafts to liaise with them to make sure the project stays within time frames. Some of our work on these type of jobs entails laying solid wood flooring or engineered flooring over under-floor heating, which we will install after the builder on site has worked alongside us to determine floor levels. We then make the skirting out of the flooring also the door frames and architraving. We often go on to make shelves or dressing tables within the room out of the flooring to meet the customers requirements. 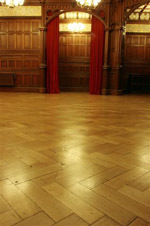 The restoration side of our work is very unique as well, as we restore the flooring with 98% dust free machines making no mess to your existing furniture. We then reseal the floor with the highest quality lacquers or oils leaving your floor fully restored with the advantage of it lasting a lifetime due to the high quality of the products we use. So if you have or know someone with a specific project in mind then do call us on 01527 435220 to arrange a free of charge no obligation site visit.